My not so perfect attempt to take a photo of a bird. 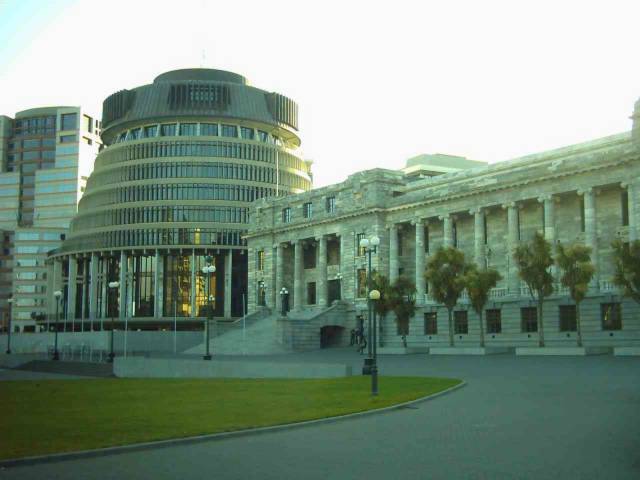 The Beehive and Parliament Building, Wellington. The Beehive is the government or administrative centre of New Zealand. The Parliament Building houses the debating chamber and offices of MPs. In this report Australia’s Labour Party is saying that the Australian government is souring its ties with Spain and Philippines after blaming the troop pull-outs for the renewed abductions and hostilities in Iraq. Here we go again, blame, blame, blame. Its the easiest thing to do these days. I was called childish yesterday for saying that I watched two Rugrats movies. -has no explanation for voting a particular candidate as MP for her electorate. I think I know who is at least more childish than me. I have just seen Imelda a documentary about the Philippines’ former first lady. It is a very fair and balanced view on the life of Imelda Marcos. It only deals with her and does not deal with the Ferdinand Marcos and his regime. Her life is similar to Eva Peron of Argentina. This film won an award at Sundance. I am just not sure which award probably in cinematography. After watching this movie, I came to the conclusion that Mrs. Marcos is truly a very crazy woman. She is an embarrassment to Filipinos. I am craving for hot noodle soup dishes. 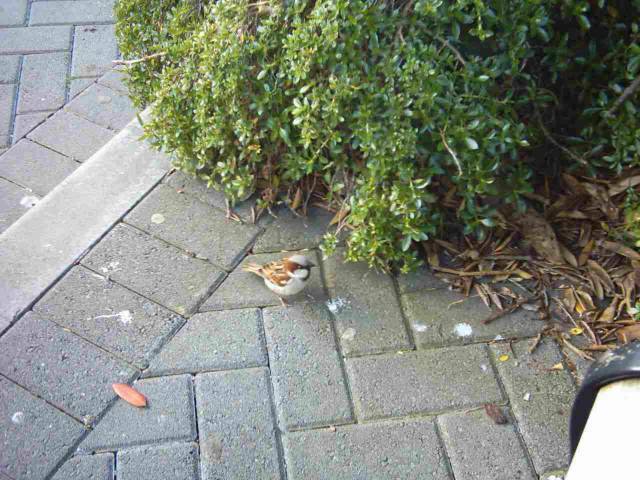 This is probably due to the very cold weather in they city and all over New Zealand. Last night, I was determined to cook “Curry Laksa.” This dish is often present in the menus of Malaysian or Singaporean restaurants here. This dish is, as the name suggest is a curry but with noodles. To cook this dish I had to go to the supermarket to buy a Curry Laksa soup base in can ($2.75). I went to the Asian grocery to buy 500g fresh noodles ($1.75), fried tofu ($2.75), three pieces of chicken drumsticks ($2.50), small bag of mung bean sprouts ($1.50) and a small fish fillet ($1.75). When I got home I dumped the ingredients (excluding the noodles) to the sauce pan and waited for the chicken to cook. The result of this experiment is good enough but not as good as the restaurants that I frequent. I’m still craving for this until now. I may drag my friend to eat with me at an Asian food court tonight.